Cost to clean a roof varies greatly by region (and even by zip code). Get free estimates from roof cleaners in your city. Cost to clean a roof varies greatly by region (and even by zip code). Get free estimates from roof cleaners in your city. Over time, a home’s roof is exposed to extreme weather, plants, and other elements, which can lead to a buildup of dirt, chemicals, and debris. Cleaning the roof can remove much of the debris and stop the roof from being weighed down and damaged, which helps the roof last longer and look better. For this example, we’ll look at the cost of cleaning a standard 1200 square foot roof on a one-story home with a standard 3/4 rafter slope, which averages $250-$300. In general, plan to increase the cost by around $0.10 per square foot for each additional story past one story. Roofs that are exceptionally sloped or hard to access can be much harder to clean, which can cause the total price to increase by up to 25%. In general, prices are fairly similar across all roof materials, although roofs that are more fragile (such as shake 3 shingles 1) can cost slightly more. Not all cleaning methods work well on all types of roof. Homes that are in damp areas of located near lots of trees are more susceptible to moss and algae, which can eat away and cause the roof to corrode and become misshapen. To combat moss, the roof needs to be cleaned so that the roots are removed. 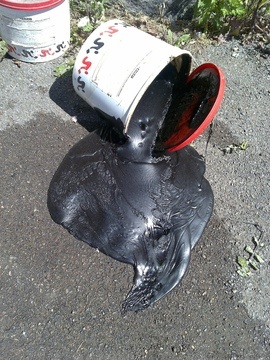 An anti-moss spray can then be applied. This product normally costs $50-$85, and professionals can spray it for $125-$150. On average, a moss removal spray will protect the roof for six months to one year. Cleaning gutters averages $0.50-$1.00 per linear foot, or around $90 for an average one-story home with 125-200 feet of gutters. Just like the name states, stain-blocking solution keeps stains from coming back and preserves the look of a recently cleaned roof for longer. The solution costs around $100 to cover the entire roof and can be applied by professionals for around $200-$275 total. After being cleaned, metal roofs can be painted (other roof types should not be painted because it can damage the shingles 1). 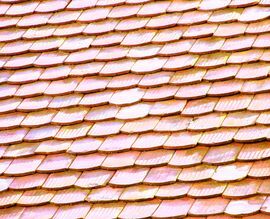 It costs an average of $2-$3 per square foot to paint a metal roof. 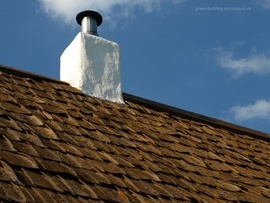 In some cases, roof repairs may need to be done before the roof can be cleaned. In other cases, cleaning the roof may bring attention to areas of the roof that need repair. There are a number of reasons that a roof may need to be repaired, including rot, damaged shingles 1 from weather, and sagging from age, but on average it costs $630 to fix a 10’x10’ area of the roof. Using organic roof cleaning solutions instead of bleach and other harsh chemicals can increase total costs by up to 30%. Although it is possible to clean a roof yourself, professionals have access to stronger cleaning products and tools that make reaching the top of the roof much easier and safer. Professionals are also trained in how to use the chemicals and materials without damaging the roof or putting themselves in danger. Overall, the best time to clean a roof is in the summer months because the roof should be dry and free of dangerous rain or snow. However, if your roof has lots of moss, the best time to clean it and spray is in the fall, winter, or spring, as moss is dormant in the summer and spraying it then would be ineffective. Most roofs come with warranties that last 10-30 years. In some cases, cleaning and minor repairs may be covered under the warranty. Check with your roofing company for specific details. Some roof cleaning companies may offer a discount if you agree to a regular roof cleaning service, such as an annual or semi-annual cleaning. The location of the house also matters. Roofs that are underneath or nearby trees are more susceptible to moss and algae, which means cleaning them might take longer. Similarly, homes near the beach likely have more salt residue. The location can affect the overall price by up to 15%. How much does it cost to clean a roof in my city? Cost to clean a roof varies greatly by region (and even by zip code). To get free estimates from local contractors, please indicate yours.